You press the button to let the roller shutter doors descend in your store, but they jam without warning. You need to close up the shop, but you can’t because the doors are jammed. You don’t want to leave your store without any security, but the doors just won’t budge. 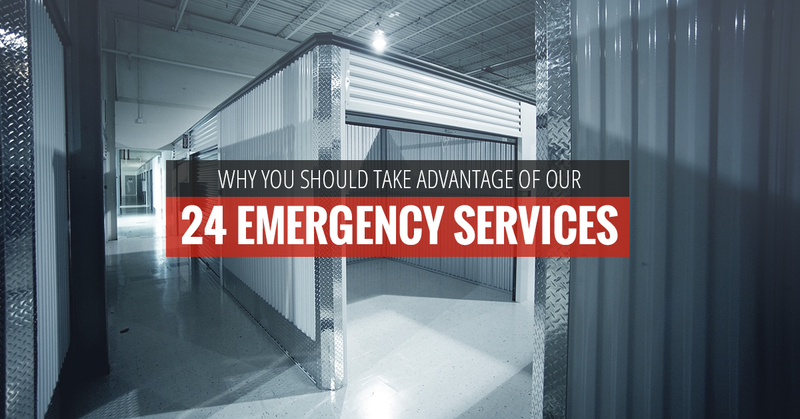 Thankfully, since you purchased your roller shutter doors with United Steel Products, you are able to call on our emergency services that are available 24 hours a day seven days a week. Whether the roller shutter door decides to jam in the middle of the night while you’re closing or in the early hours of the morning, we’ll be there to help fix your roller shutter door. In addition, if you’re facing other issues with your roller shutter door, then we can fix those as well. For more information about our 24 emergency services, then call (888) USP-DOOR or (888) 877-3667. The first thing you need to know about 24 hour emergency services is that they are available 24 hours a day. No matter the time you call on us, we’ll be there to fix the issues you’re having with your roller shutter door. We’ll be there to fix the problem as soon as possible. The technicians in our service department are trained experts. Each technician is trained to fix issues with roller shutter doors, rolling doors, rolling grilles, rolling fire doors, side folding grilles, high speed doors, and overhead garage doors. The technician that comes to your facility will fix the problem as quickly as possible and make sure your roller shutter doors or grilles are working properly. Additionally, if you are having issues with other products, then we’ll come to your to fix them. In addition to our 24 hour emergency services we also offer proactive preventative maintenance to identify any problems early on. What’s neat about our emergency services is that they are on your time. Unlike other roller shutter door companies, we’ll come to you when you need us and we offer preventative maintenance. Our fully staffed team of office and sales personnel will come to you immediately. We have over 20 company vehicles that our personnel can use at any time. If it’s after hours or on the weekends, then our phone will transfer you to an auto-page voicemail system where someone is on call 24 hours a day and seven days a week. Regardless of the type of call it is, we’ll be able to handle the situation in the event of an emergency. Whether it’s commercial or industrial, we’ll be at your facility in a jiffy to repair parts or repair another problem. Each of the service trucks we have is fully equipped with the necessary tools to get the job done. If you’re dealing with an emergency, then call on United Steel Products for our 24 hour services. For more information, contact our company to answer any questions that haven’t been addressed or continue reading our blogs.